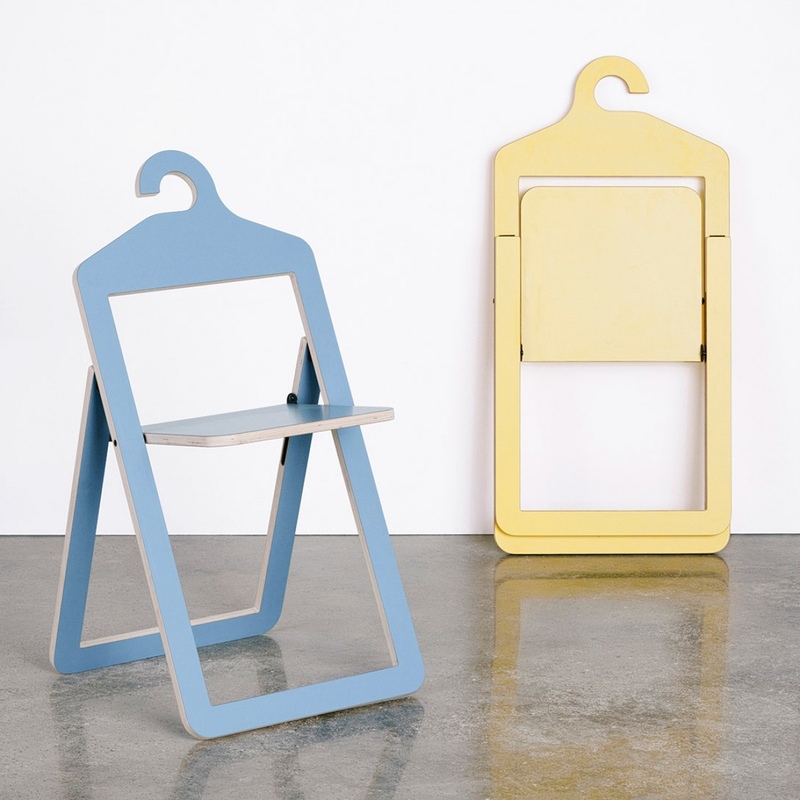 In the hotly contended and competitive world of design, Philippe Malouin is a name to watch. With just two small suitcases in his possession, Canadian-born Philippe Malouin moved to London eight years ago. Today, this designer extraordinaire enjoys an enviable and well-earned level of design prestige. Malouin studied for a bachelor’s degree in Design at the highly regarded Design Academy Eindhoven. 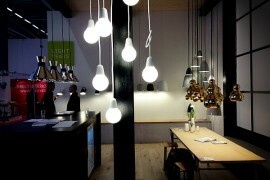 Following a stint with British designer Tom Dixon, Malouin established his eponymous design studio in 2009. 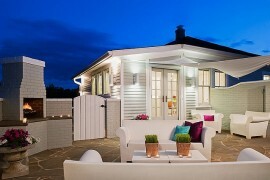 He also leads POST-OFFICE, a London-based architectural and interior design practice that was set up in the same year. Philippe Malouin. Photograph by Sebastian Böttcher via OTHR. Philippe Malouin approaches design with a view that something should be made to last and serve a practical purpose. 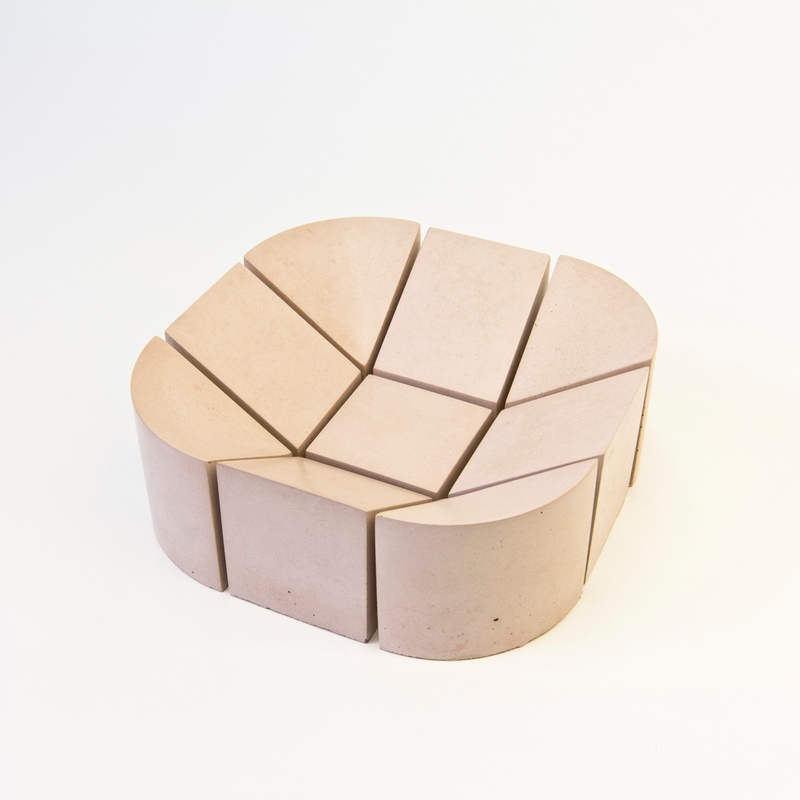 In his furniture pieces and objects, Malouin’s understanding of form and the application of material is manifest: his varied works exhibit a clearly expressed geometric dimension that enhances their aesthetic appeal and individuality. Philippe Malouin: The creative process. Photograph by Sebastian Böttcher via OTHR. 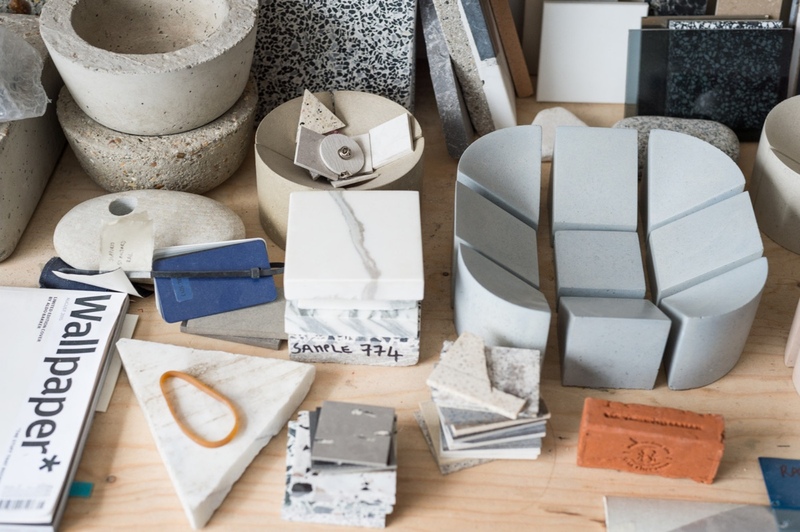 Materials in Philippe Malouin’s East London design studio. 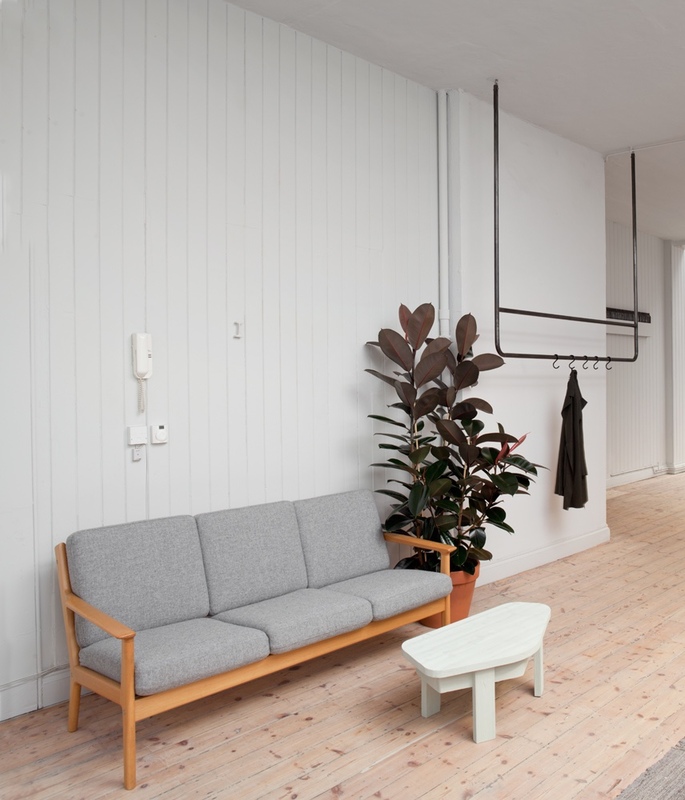 Photograph by Sebastian Böttcher via Freunde von Freunden. Design is a part of Philippe Malouin’s psyche, stemming from a childhood fascination with building things. 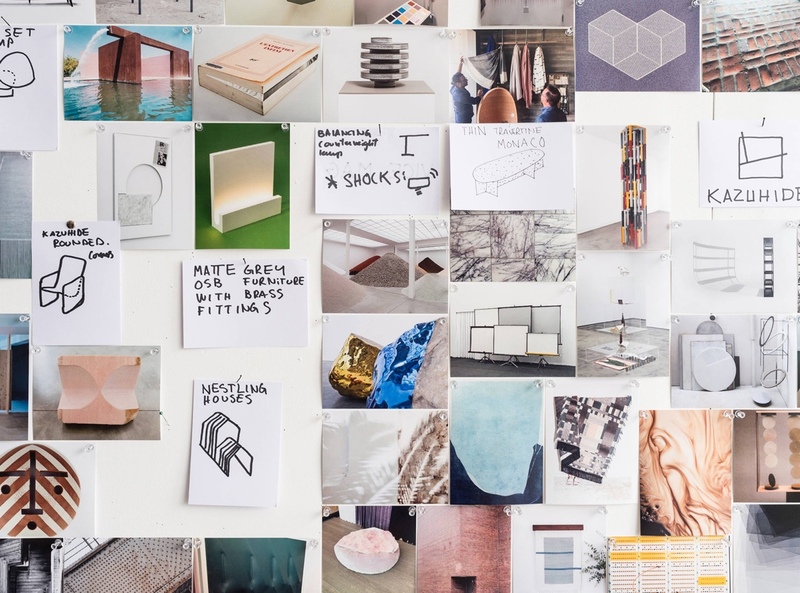 Nowadays this translates into furniture design, interior design, installations and experimenting with different materials. 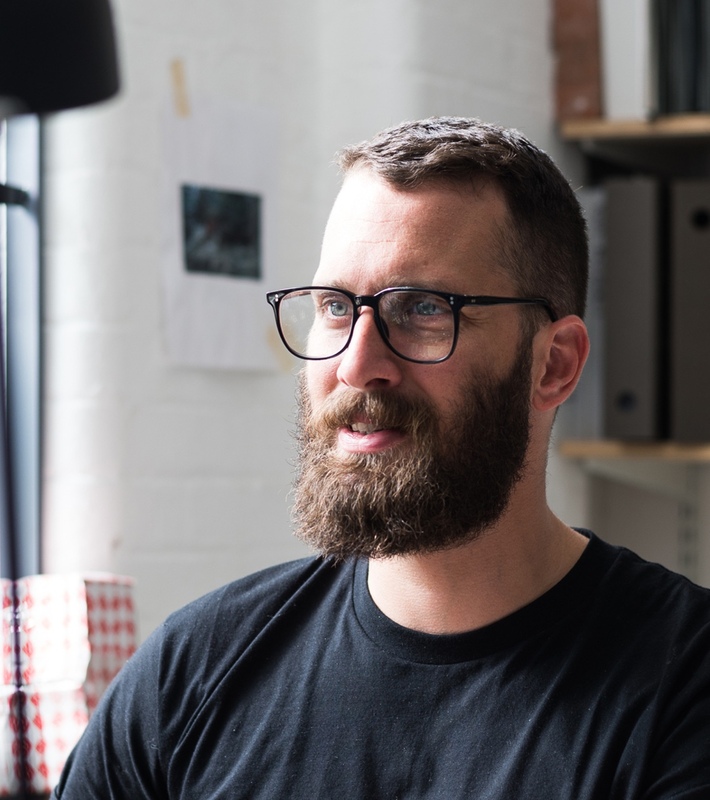 In an interview with Freunde von Freunden, Malouin explains: ” A lot of people say you should choose one thing and do it well. But these days, as the world of design is changing, I think it’s best to be good at many different things” (Rowland, 2016). 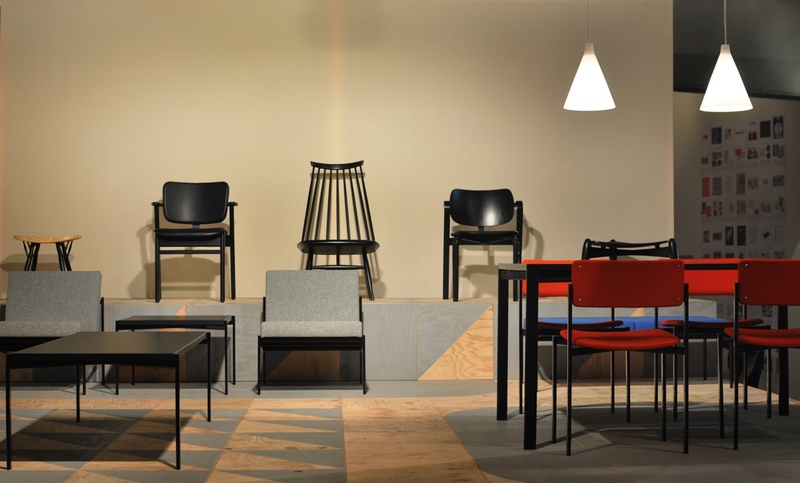 Malouin’s philosophy on the importance of diversity in design is influenced by Charles and Ray Eames. These two prolific designers remain champions of a multifaceted approach to design, their incredible body of work incorporating architecture, art, film, furniture design, graphic design, photography and writing. Like many creative minds, Philippe Malouin finds inspiration in everyday life, the ordinary and the familiar. Something as random as a piece of cast concrete on the pavement might kick off the creative process in his head. Malouin isn’t interested in trends; the voguish nature of many blogs and magazines are not a typical source of inspiration. 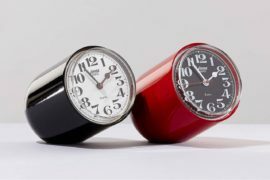 To his mind, design that is based on the latest craze is transient and will not last. Instead, Malouin will ensure that he genuinely wants something before committing to acquiring it. 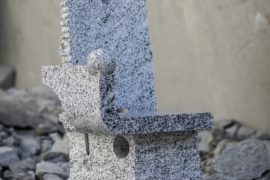 That same principle applies in his studio where he is selective about what will be made; the studio will usually produce about five products in any one year. 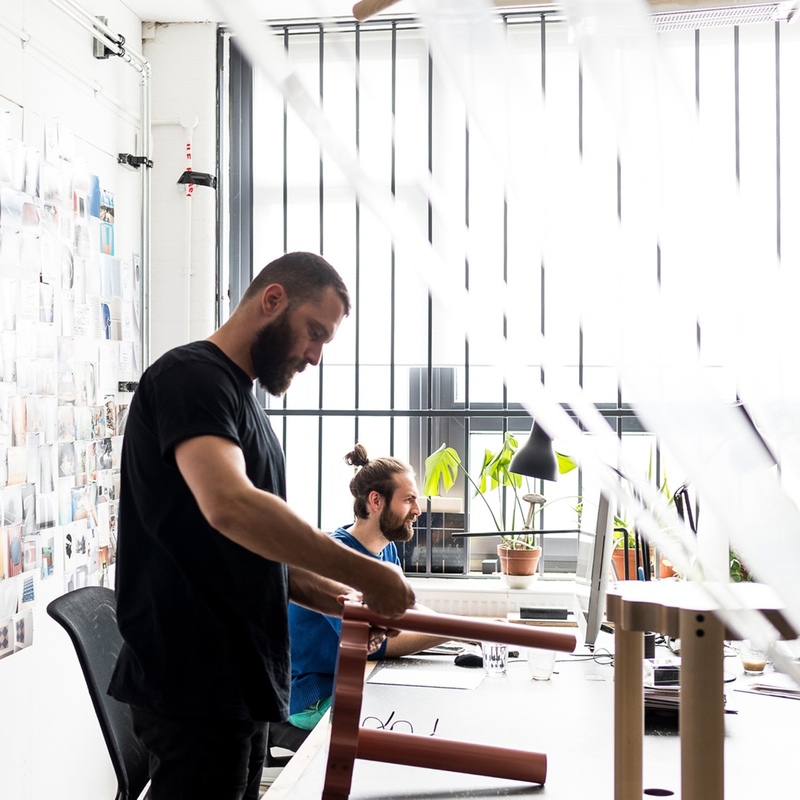 Philippe Malouin working on the Ace Stool in his Hackney design studio. Photograph by Sebastian Böttcher via OTHR. 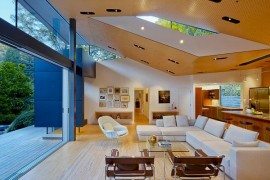 Philippe Malouin’s designs are conceptually brilliant, balancing an aesthetic disposition with functionality and longevity. 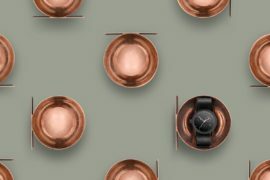 In a world of consumer excess and irrational buying behaviour, Malouin believes entirely in the permanence of design. Connection vessel. 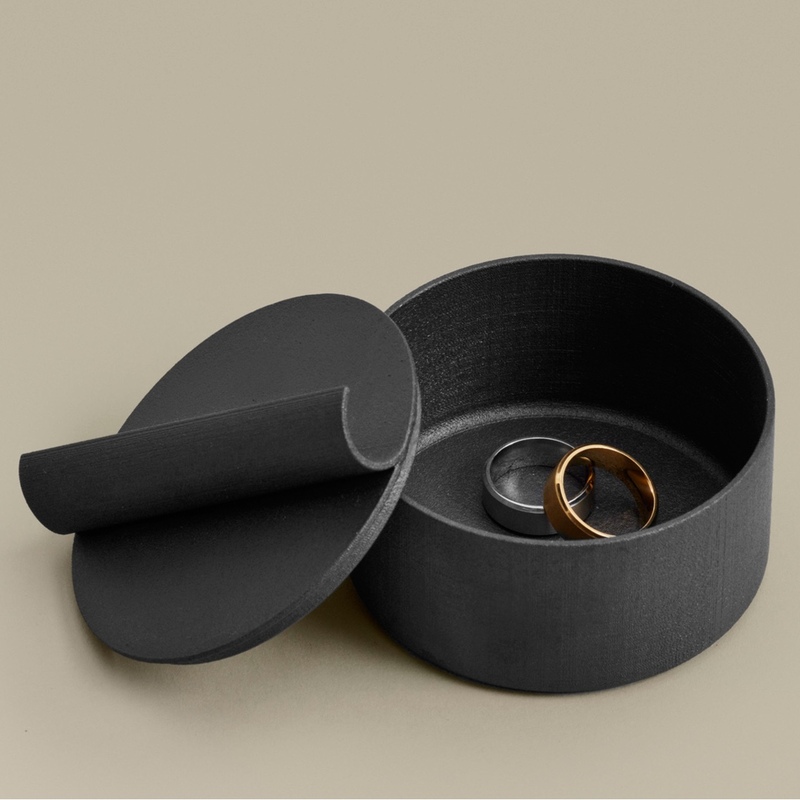 3D printed steel vessels for OTHR. Image courtesy of Philippe Malouin. 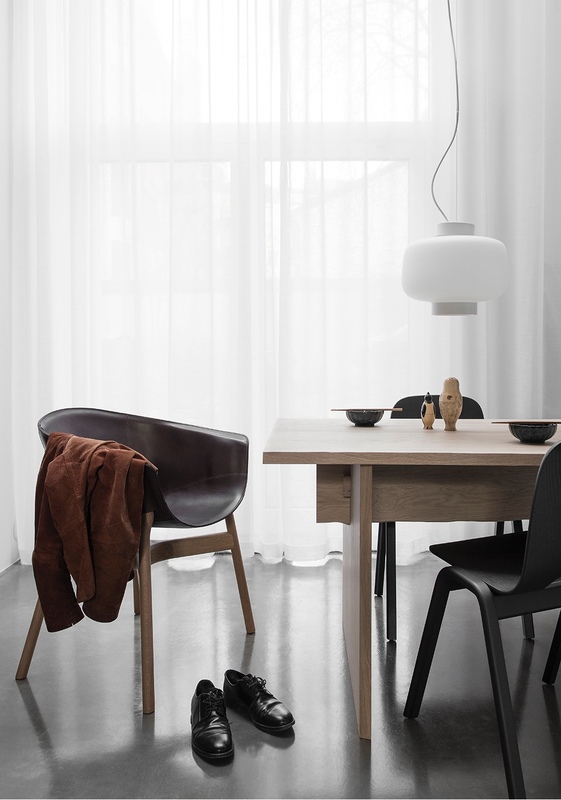 The Bookmatch Table in oak for Hem. Image courtesy of Philippe Malouin. 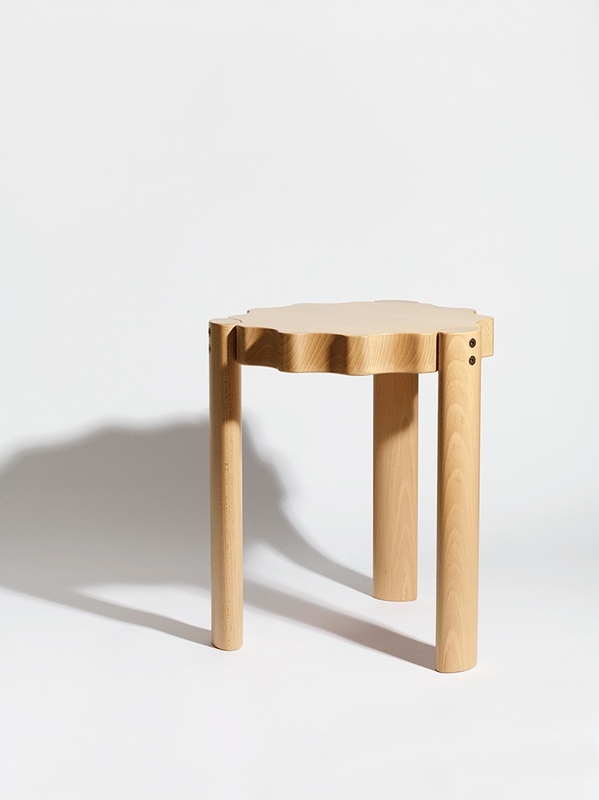 The Ace Stool in solid birch for Ace Hotel. Image courtesy of Philippe Malouin. 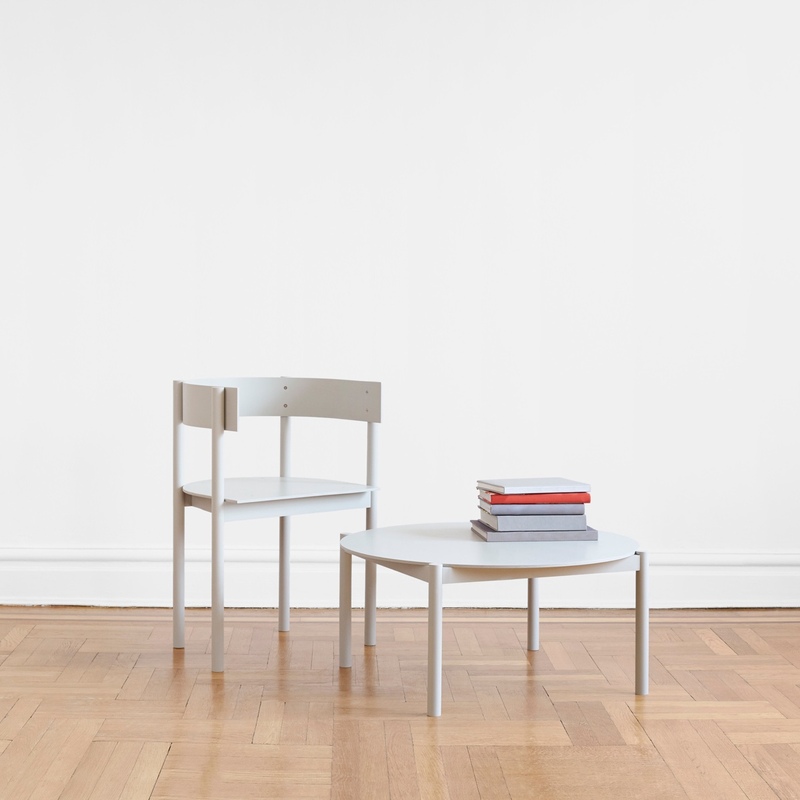 The Typecast Chair and Coffee Table, in solid maple and birch ply, for Matter Made. Image courtesy of Philippe Malouin. 1 to 4 Bowls. 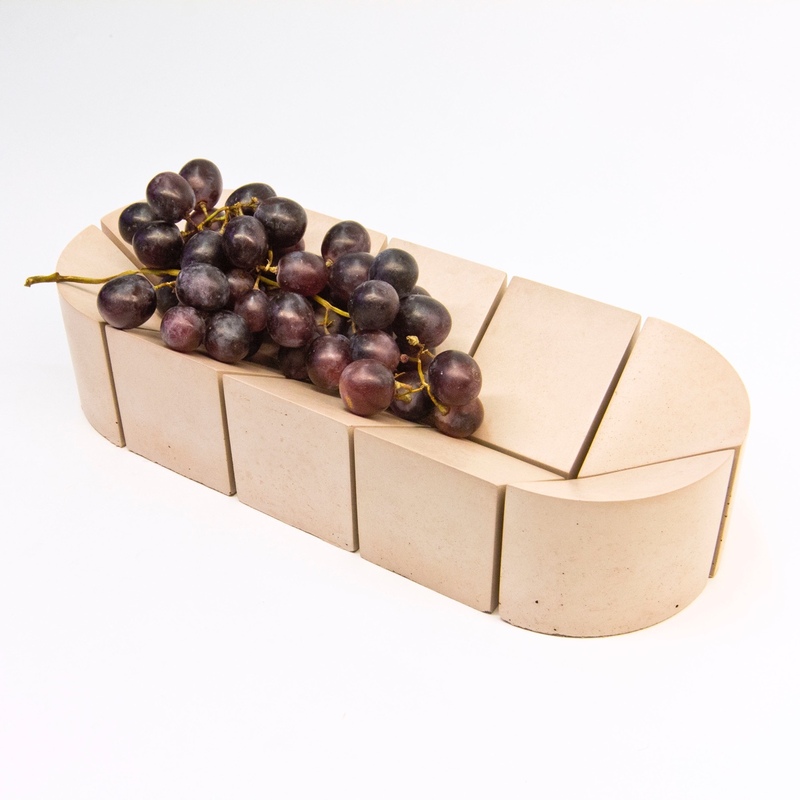 Made using pigmented concrete, the individual components can be arranged in numerous configurations. Photo by Eva Feldkamp courtesy of Philippe Malouin. 1 to 4 Bowls. Photo by Eva Feldkamp courtesy of Philippe Malouin. 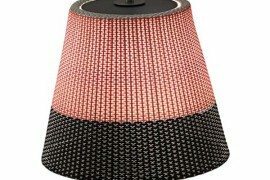 The Brick Lamp. 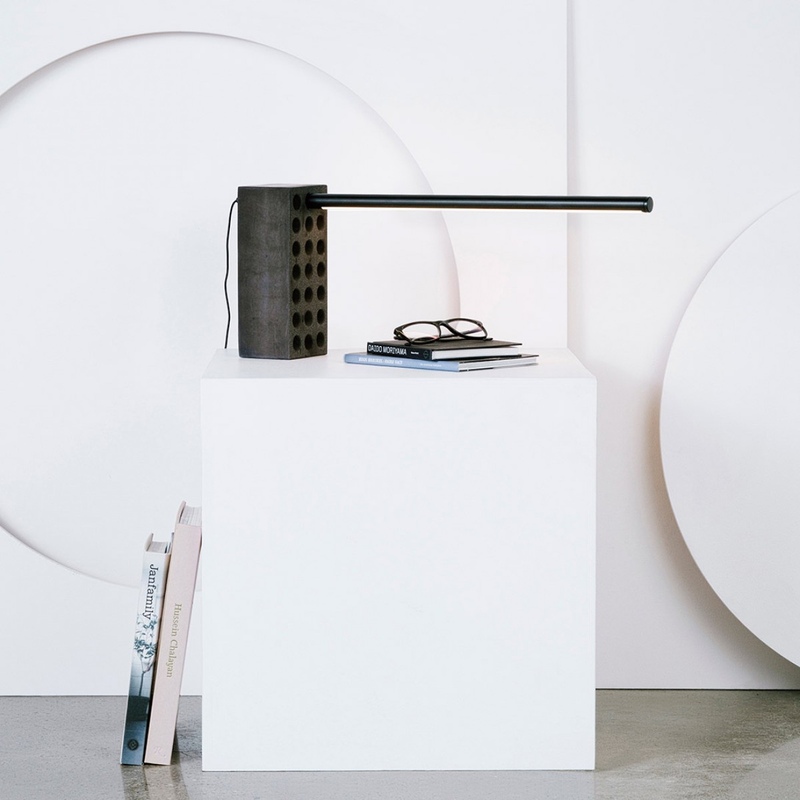 An adjustable LED task lamp for Umbra Shift. Image courtesy of Umbra Shift. 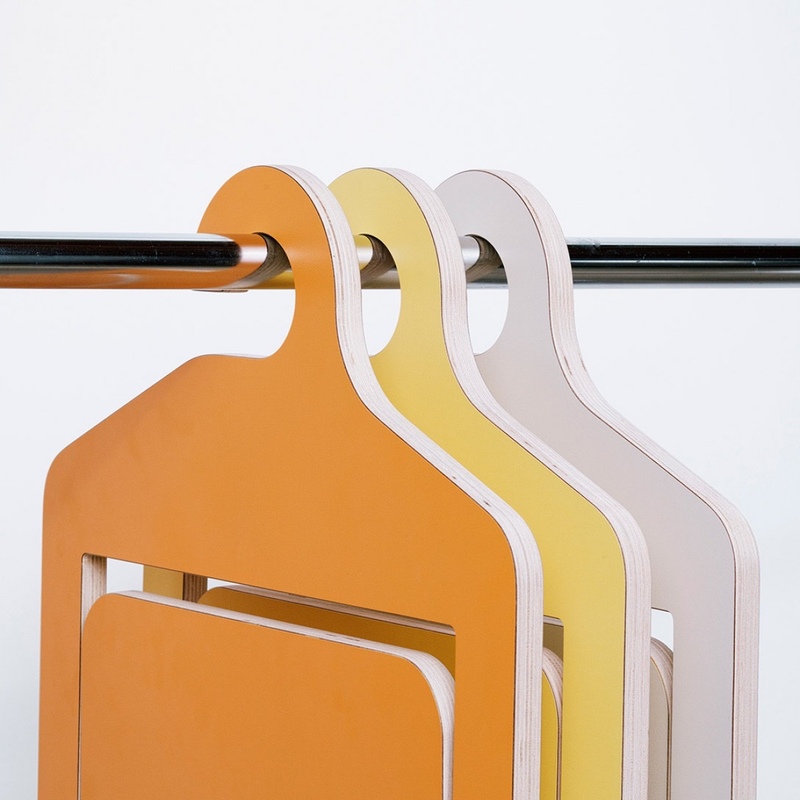 The Hanger Chair for Umbra Shift. Image courtesy of Umbra Shift. 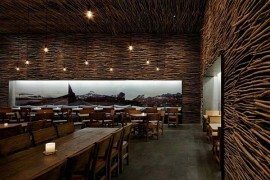 The POST-OFFICE aesthetic is one that combines unusual materials in a creative manner in order to design smart, utilitarian and engaging interiors. 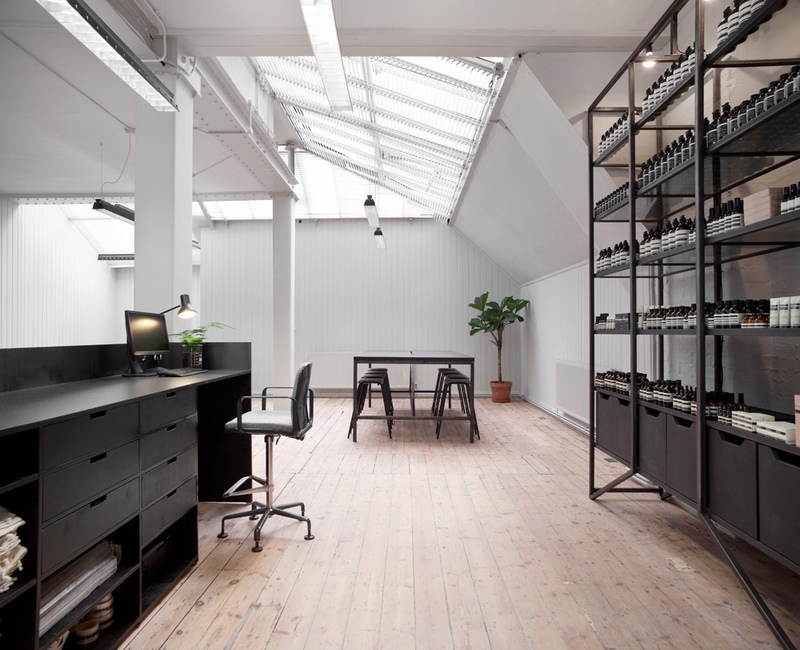 Aesop HQ in London. Photo by Ludger Paffrath courtesy of Philippe Malouin. 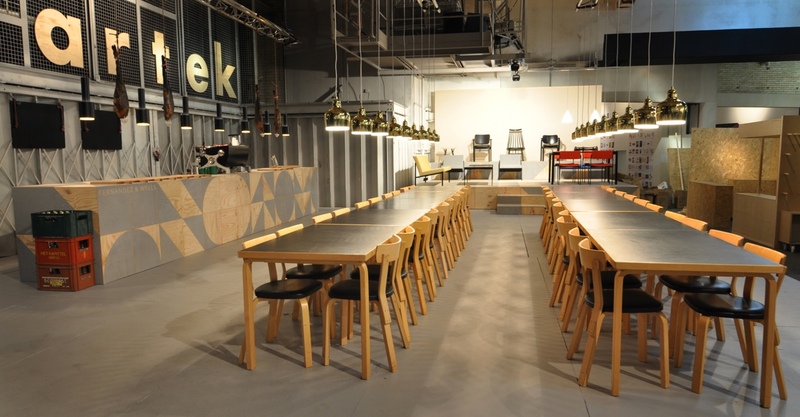 Artek pop-up shop and cafe. Image courtesy of Philippe Malouin.